Since last century, superpower constitutions like the UK, US, Germany and more made up about 50% of the total waste production across the globe. To tackle their waste thresholds the countries spread out the waste to other countries who could help them curb (recycle, reuse or dispose of) the waste produced. India has always been one of these assisting countries until the import started taking uncontrollable plunges in the country’s overall waste production to recycling rates. China was a primary and most preferred go to market for plastic waste producers up until 2018. China imposed a ban on importing waste plastic from other countries with a primary motive to curb their own waste management issues. As a result of the ban, India was the second on the priority list to dispose of the plastic waste efficiently. However, India already had a partial ban for waste import. Though solid plastic waste imports were banned in 2015, the Centre allowed agencies in special economic zones (SEZ) to import them in 2016. While another scheme, export-oriented units (EOUs) allowed businesses to procure resources from abroad. It is projected that India produced an average of 26,000 tons every day, last year, out of which 44% remained unrecycled or unprocessed at all. The SEZ and EOU schemes where more of loopholes for India than they were assistants for others. The China Ban affected Indian import figures and it acted as an eye opener for the constitution to take strict actions in our favor. The ban to import plastic waste was imposed in India to close the gap between waste production and recycling capabilities of the country. The primary motive being filling the loopholes like SEZ and EOU to a better and greener future. 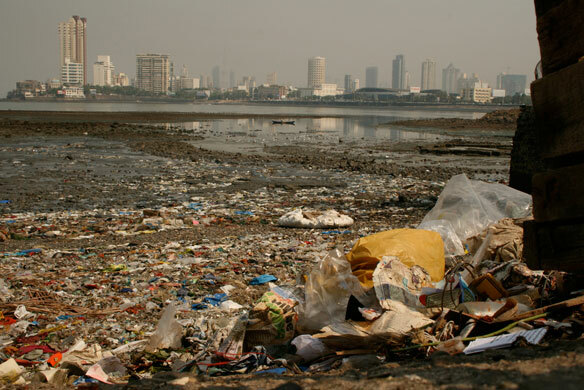 “The country has now completely prohibited the import of solid plastic waste by amending the Hazardous Waste Rules on March 1,” an environment ministry official said. “It has been done keeping in consideration ‘ease of doing business’ and boosting ‘Make in India’ initiative by simplifying the procedures under the rules, while at the same time upholding the principles of sustainable development and ensuring minimal impact on the environment,” the ministry said. Additionally, the revised amendment also recites regulations for industries that do not require consent under the Water (Prevention and Control of Pollution) Act 1974 and Air (Prevention and Control of Pollution) Act 1981. These markets were exempted from requiring authorization under the Hazardous and Other Wastes (Management & Transboundary Movement) Rules, 2016, on one condition that hazardous and other wastes generated by the industries would be handed over to the authorized actual users, waste collectors or disposal facilities. The waste collectors and disposal facilities in India are limited in their capabilities, hence the difference in waste generation-recycling rates. However, the ban and serious conditions due to the harmful effects of waste pollution gave rise to a 20% increase in recycling and disposal assistance firms. There are dedicated end-to-end waste management organizations rising up in the country. A firm of these sorts is generally called a Producers Responsibility Organisation (PRO). All the electronic and plastic producers in the country are advised by the Central Pollutions Control Board (CPCB) to regulate their product once it’s completed the product life cycle. PROs help producers to adhere to the CPCB laws and help them complete EPR goals. And hence, continue contributing to the economy while saving the environment. This article is contributed by Manoj Sahu. A visionary of greener and better future for our planet, Manoj has acquired Masters from Amity University and been continuously involved with WEEE (E-waste management) recycling industry collaborations rooting from Indian Institute of Foreign Trade.